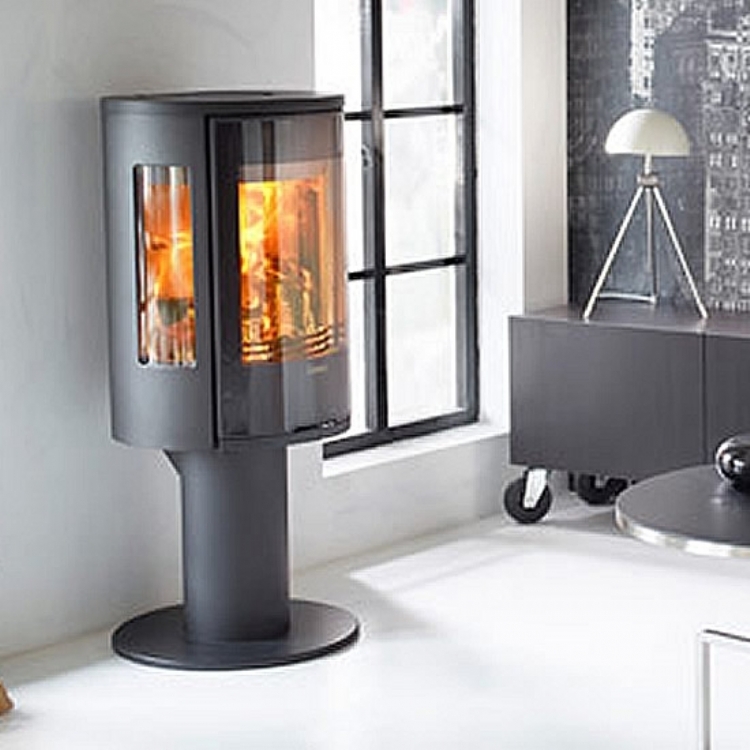 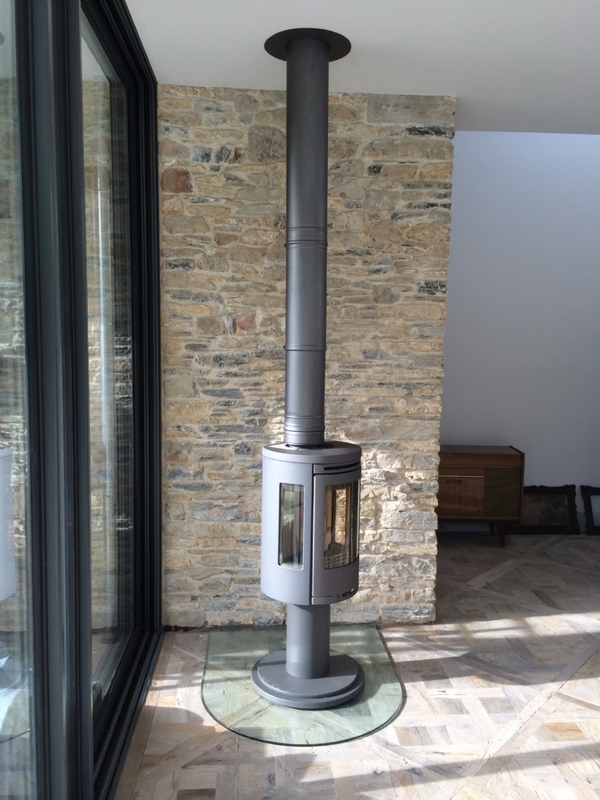 Contura 556 on a rotating pedestal wood burning stove installation from Kernow Fires. 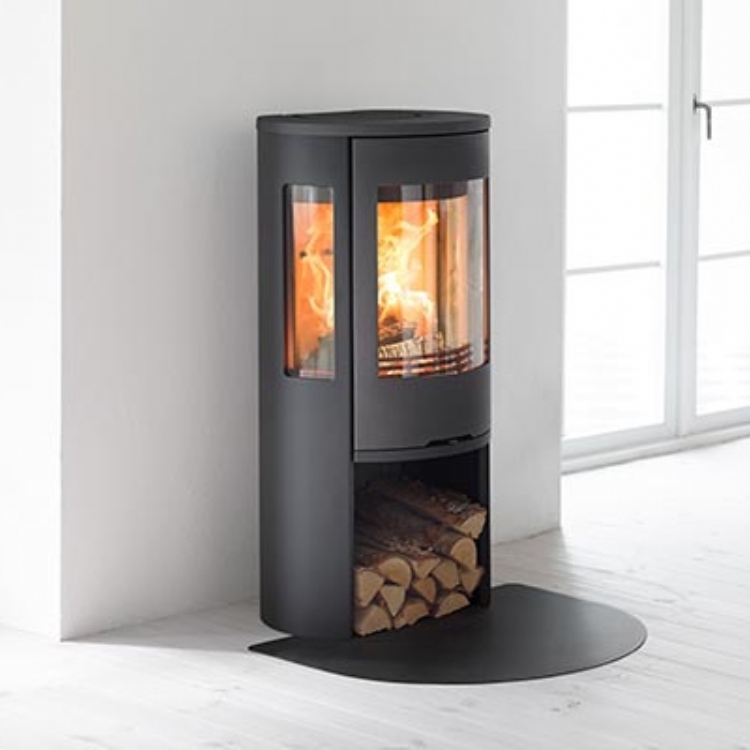 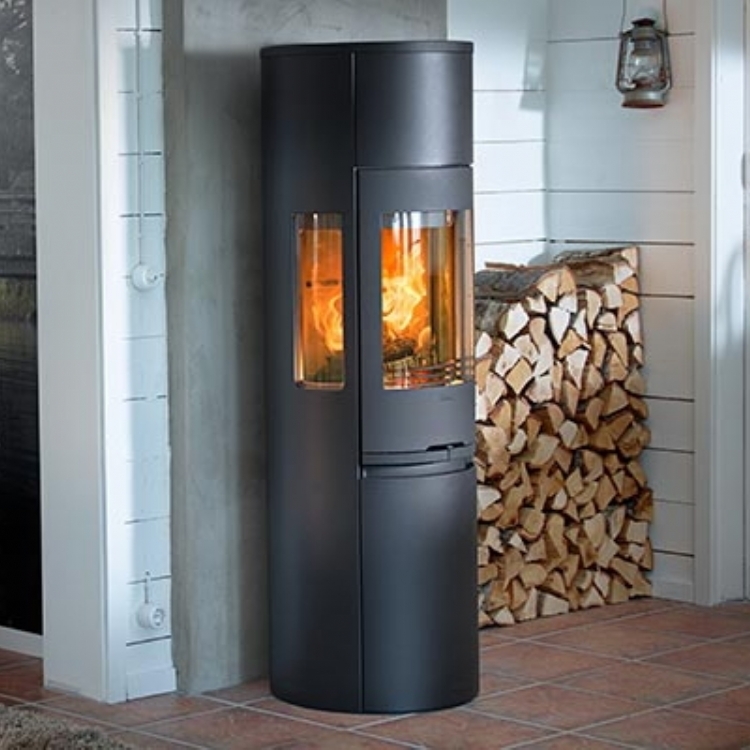 We have a number of rotating fires at Kernow Fires however the clients chose the Contura 556 on a pedestal. 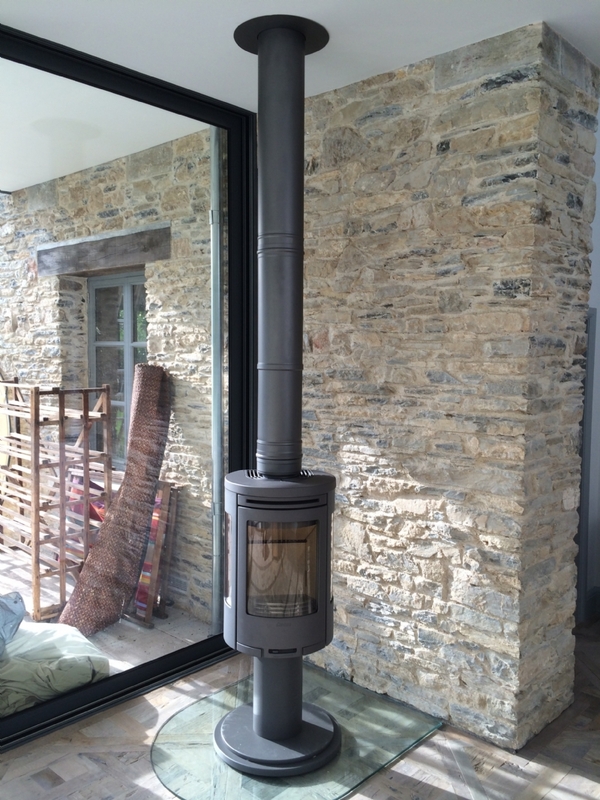 We had to fit a hearth so that the fireplace meet current regulations however we managed to do this subtly by using a glass hearth.